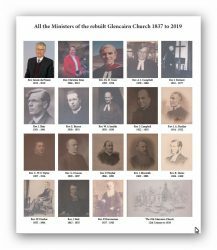 Reverend Christine Sime, our Minister from 1994 to early 2012, previously compiled this short history of our buildings. An updated version is shown below. Glencairn & Moniaive Parish Church boasts two Kirks – the one in the heart of Moniaive is called St Ninian’s, and was once a mission hall in the days when the Railway was being built; the other is the Parish Kirk in Kirkland, just outside Moniaive village, and is simply known as Glencairn Kirk. This is said to have built on the pilgrim route from Whithorn, and when first built was consecrated in the name St Cuthbert. We have two very different but unique churches which we will do our very best to maintain and take into the future. We use St Ninian’s for the majority of our services. St Ninian’s is a very adaptable church. The pews are not fixed and so what is the Kirk for services, can easily be transformed into a hall for socials, sales, lunches. It was built as a mission hall in 1887, part of Glencairn Church. In 1888 Mr Hiddleston erected the railings, as a gift on the birth of his son, Bob on 8/8/88. In 1906 the interior was decorated, the Gothic windows installed, and the Communion Table gifted. The table is dedicated to Rev Thomas Duncan DD, father of the minister of that time (Rev George Duncan). In 1933 the building was wired for electricity at a cost of £47.15/- ; and provided with a new heating system in 1959 (£101.13/-). 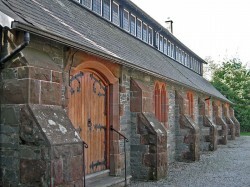 In the 1990’s, a new heating boiler was installed, a loop system and tape to benefit the hard of hearing and the housebound; and the extension was given a stone cladding, and new oak door to make it one with the rest of the building. The Brownies and Guides have planted bulbs over the years, and the grounds strive to offer an open, friendly, and cheerful welcome to all who come. Inside the church the coloured glass in the roof windows provide a brightness not generally expected, and St Ninian’s with its moveable pews offers a multi-functional interior, a resource for all church events, from worship to concerts, to sales and coffee mornings. Over the years the function of St Ninian’s has been adaptable. From its first years of being mainly a hall, with the occasional Sunday evening service; through the years when it was used infrequently for worship, we now have regular worship here. 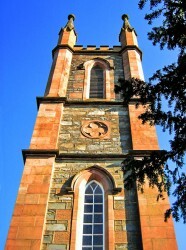 Glencairn Kirk also has a major part to play in the community – firstly as a church which is now used on the fourth Sunday of every month; and also as a concert venue. Already we have a tradition of Glencairn Concerts – usually featuring Scottish singers and musicians, with bookings from local and the occasional regional group. 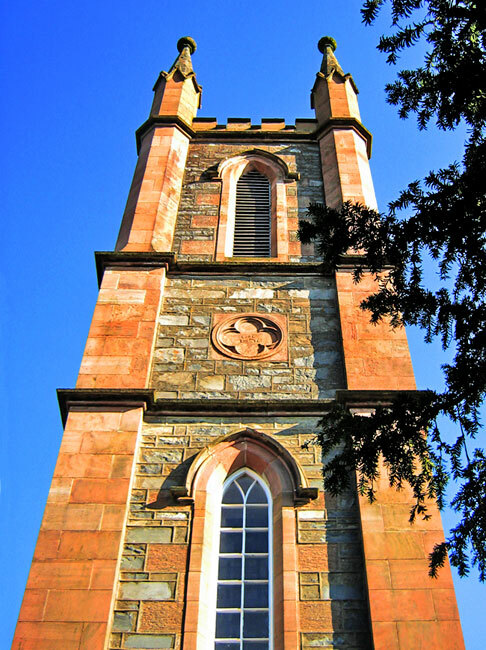 Glencairn has required major works in the last few years, but a special fund raising committee worked hard to gather in over £30,000 which was been boosted greatly by grants from Historic Scotland, SCHATT, D&G, and Baird Trust to ensure that all the outside works could be completed. More recently the interior has been renovated, and a loop system and amplification system introduced. The two main coloured glass windows on the south elevation have been refurbished, and there is a programme of repairs on the other weather-exposed ones. The older window, depicting The Good Shepherd, was erected in thanksgiving for the life of the Revd John Findlay, who died in 1941. The newer coloured glass window was completed in 2007. It is the work of a local craftsman, Gordon Fraser Black, and local artist, Freda Blackwood. The windows are depicted on the header and left margin of this website’s pages. In a Parish of around 900, we have just under 200 members of the church, with between 35 and 50 attending on any one Sunday. We are also fortunate in that many folk of other denominations gather with us on a Sunday. Ecumenism simply happens in Moniaive direct from the grass roots. Financially we remain solvent each year, but the struggle is always with us. 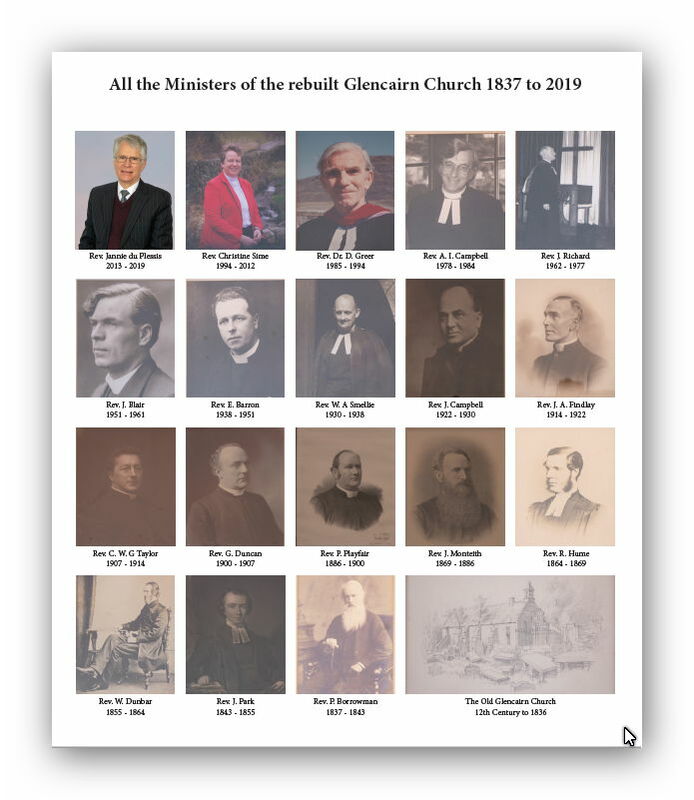 Buildings are expensive to keep in good order, but again we are blessed with many willing folk who give of their time and energy, and use the gifts they have been given to help the church in so many ways. As for the central part of our church – the congregation – they are a very willing, loyal and hard working people. Trying hard to include the youngsters, doing all they can to make the housebound feel they are still very much a part of the church, they also are willing to try out new songs, new ideas, different approaches. And through it all their sense of humour and love of fun go undiminished. Dour they are not! Worship is always intended to be both joyful and meaningful. Sermons are intended to encourage, challenge, comfort and provoke – although probably not all of these in any one week! But we do have our struggles – apart from making ends meet. As with all churches a relatively small proportion of our members take part, support and keep the church going. Our younger members and the younger folk of the village are in general few in number at church. But we continue not in our own strength, but God’s, confident that as long as we are loyal and faithful to Christ and his gospel, the Sprit will work and perform all necessary miracles. We also realise he asks us to help in making these miracles happen. We are set in the most beautiful scenery, with history oozing from every hillside. Why not come for a visit, we’d love to meet you.